Go Bloom & Glow is a Cebu-based online destination in the Philippines that offers 100% authentic Korean beauty products. Launched in May 2017, we aim to help our fellow Filipinos discover the wonders of Korean beauty. We believe in Korean people’s skin-first philosophy, and that skin care should be enjoyable and that it is an investment in one’s overall well-being. How did you get started selling online? It was early 2017 when I decided to take care of my skin seriously, as I was having breakouts all over my face, specially my forehead. 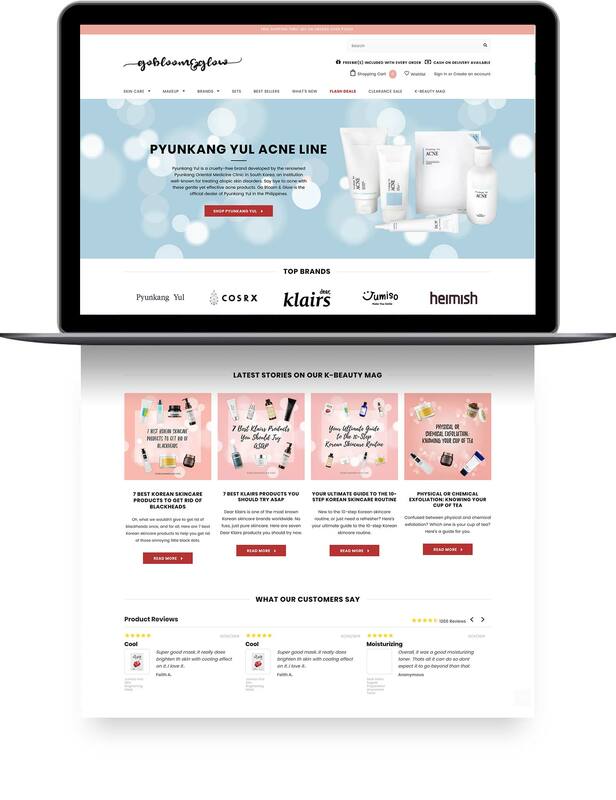 I searched for effective beauty products online, and that’s when I discovered Korean beauty – how it is not only popular within Asia, but also all over the world. I was able to find an online store in the Philippines that sells Korean beauty products, and they were my go-to for a few months. However, lots of the products that I wanted to buy were always sold out. It would take forever for them to stock up, to my frustration. That’s when it hit me. Why don’t I sell them myself? This way, I can always get the item I want whenever I want, and I can share the wonders of Korean skincare to my fellow skincare enthusiasts in the Philippines. And so I did, together with my husband and one of our best friends, and that’s how Go Bloom & Glow started. How easy was it to launch your store? It was quite easy for us to launch our online store, as Shopify is very convenient to use compared to other platforms. I had no prior experience with Shopify before this, but my experience as a Front-end Web Developer came in handy. 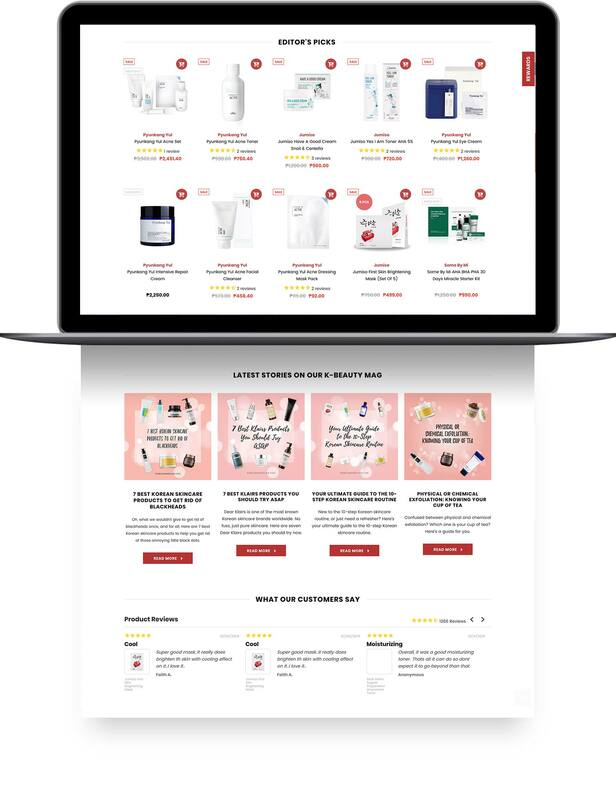 I learned that there are various apps on the Shopify app store that could make our online store easier to use not only for our customers but also for ourselves, Back in Stock being one of them. What caused you to install Back in Stock? Our store is also over a year old, so Back in Stock is one of the apps that I installed first. Back when we were just starting out, lots of products always gets sold out and as a result, lots of customers ask when those products would become available again. It was very tedious to list the people who asked and inform them one by one thru social media messaging, so I decided to look for an app to manage waitlists and at the same time inform them when products will be restocked, and that’s when I found Back in Stock. It has definitely helped us grow our business and I wouldn’t trade it for any similar app. How are you using Back in Stock today? Back in Stock has definitely been a lifesaver when it comes to inventory management. I know what products to stock up next, which is definitely a crucial part of the business. It also helps in determining which products to discontinue selling by providing data on which product has the shortest waitlist or none at all. One of my favorite things that Back in Stock does is keeping our customers informed when their favorite product will be back in stock. It’s so convenient to just respond, “Please click on the ‘Notify me when available’ button on our website” to every “When will Product A and Product B become available?” question – which comes in quite a lot. And when the product gets restocked, I don’t have to notify the customers on the waitlist one by one because Back in Stock automatically sends the email notifications. So all I have to do is update the stock quantities and relax, just wait for purchases from the waitlist to come in.